I’ll be taking off tomorrow morning from Phoenix Sky Harbor International Airport on my way to Monterrey, MX where I will be doing a very short study abroad session at Tecnologico de Monterrey (the number one business school in all of Latin America). I’ll be gone from June 7th until June 22nd and during the course of these two weeks I’ll be taking two classes: GLB 303 (Relationship Management) and GLB 494 (Doing Business in Mexico). 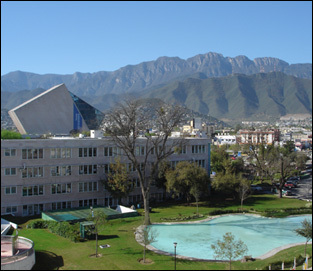 The campus at Tec de Monterrey is beautiful (as you can see from the picture to the left) and I’m really excited to meet the faculty at the University, as well as the people of Monterrey. I’m a little bit nervous because I’ve never been anywhere in Mexico of any significance (Rocky Point doesn’t count) and also excited because I absolutely adore going to new places. Going to Belize in March was one of the most memorable experiences up to this point in my life and I’m hoping that this visit to Monterrey will rank up there as well. As I mentioned I’ll be taking two classes and I will be taking complete advantage of the time I’ll have over the next two weeks to absorb as much information as I can. The course description for my Relationship Management class is below and sounds quite interesting. That will definitely be interesting. I’m also quite excited for my Doing Business in Mexico course. We’ll be lectured by a professor at the Tec de Monterrey who also wrote a book with the same title as the course. Also we’ll be visiting five businesses in Monterrey and seeing how they function, which will definitely be interesting. My posting might not be consistent over the next few weeks as I’m unsure as to the level of internet availability I’ll have, but you can definitely expect at the very least a few posts on what I’ll be learning over the course of this study abroad session. Until then, Adios. Great blog. I like this one. That campus does look gorgeous- hope you have an awesome time down there! I’d love to do some study abroad programs through my school. It’d definitely be an experience of a lifetime. Been awhile since I’ve visited, and I’m glad I did.